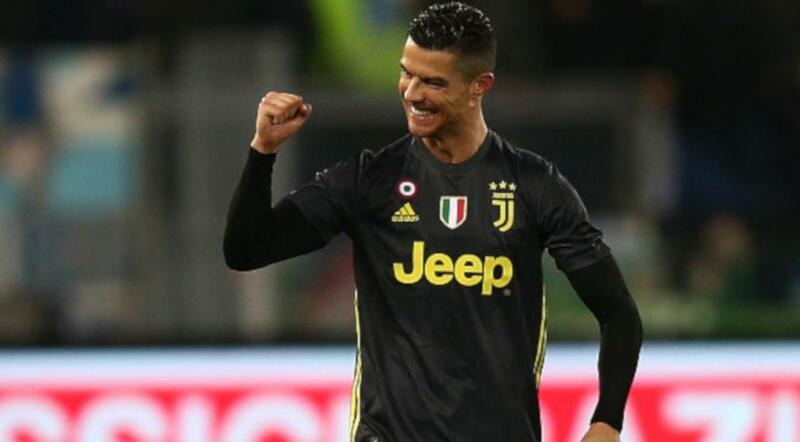 Cristiano Ronaldo converted a penalty two minutes from time as Serie A leaders Juventus came from behind to win 2-1 at Lazio and go 11 points clear at the top on Sunday. Lazio dominated the first hour and went ahead with an Emre Can own goal in the 59th minute before Joao Cancelo levelled for Juve in the 74th, four minutes after coming on as a substitute. The Portuguese also won the penalty which allowed his compatriot Ronaldo, who missed a spot-kick against Chievo in his last game, to score his 15th league goal of the season. Juventus, chasing an eighth successive league title, have 59 points out of a possible 63, while second-placed Napoli are on 48 after their 0-0 draw at AC Milan on Saturday. Lazio are seventh after continuing their dismal run against Serie A’s so-called big teams — Juventus, AC Milan, Inter Milan, AS Roma and Napoli. They have taken only one point in seven games this season against sides from that group. “It was the worst Juventus performance of the season for the first 60 minutes but, paradoxically, we found the motivation to win after we fell behind,” said defender Giorgio Chiellini. Szczesny beat away a Luis Alberto shot and denied Marco Parolo with an excellent one-handed save while the visitors’ Daniele Rugani cleared a Ciro Immobile lob off the line as Lazio dominated the first half in Rome. The hosts went ahead when Luis Alberto drove his corner into the heart of the Juve area and unfortunate German midfielder Can stooped to head the ball into his own net. Shortly afterwards, Immobile fired over the bar after being set free and it proved the turning point. Juve had offered little threat until Paulo Dybala’s low shot was parried by Thomas Strakosha and Cancelo drove home the rebound. With time running out, Juve’s Federico Bernardeschi sent a low ball into the area and Cancelo tumbled over as Bosnian Senad Lulic made contact with his arm in an off-the-ball incident. After desperate Lazio protests, Ronaldo blasted his penalty into the roof of the net to secure the victory. “We did not deserve the defeat but we can take satisfaction from the way we played,” said Lazio coach Simone Inzaghi.